The Jousting Life: The Jousting Life is Two Years Old! 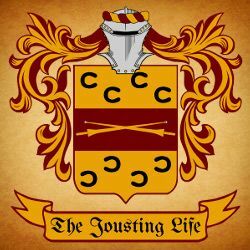 Two years ago today, "The Jousting Life" website first appeared online. It's been great getting to know so many different people involved in jousting all over the world, so many of which have contributed information, pictures and video to help create interesting articles. The Times and Epochs history festival even covered my travel expenses so that I could attend their jousting tournament in person -- which was absolutely incredible! With your continued help, I hope to keep The Jousting Life going for years to come.